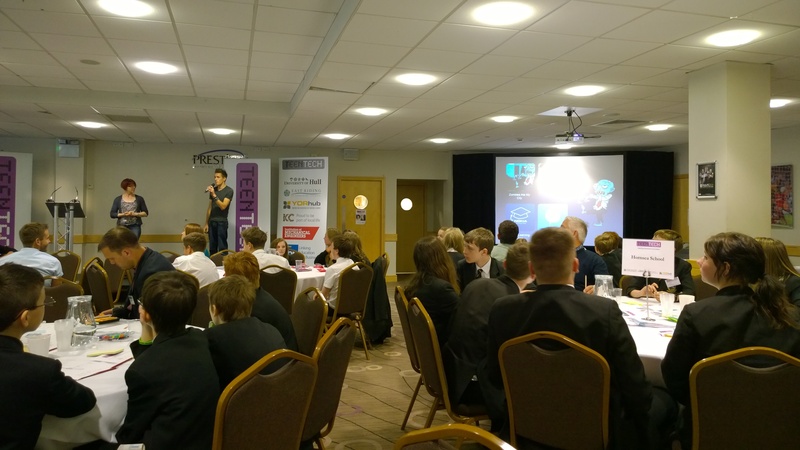 A year of TeenTech Events – teaching app development around the UK! Last September, we were asked to get involved with TeenTech, an award winning, industry-led initiative, founded in 2008 by Maggie Philbin and Chris Dodson to help teenagers understand their true potential and the opportunities available to them in the science and technology industries. 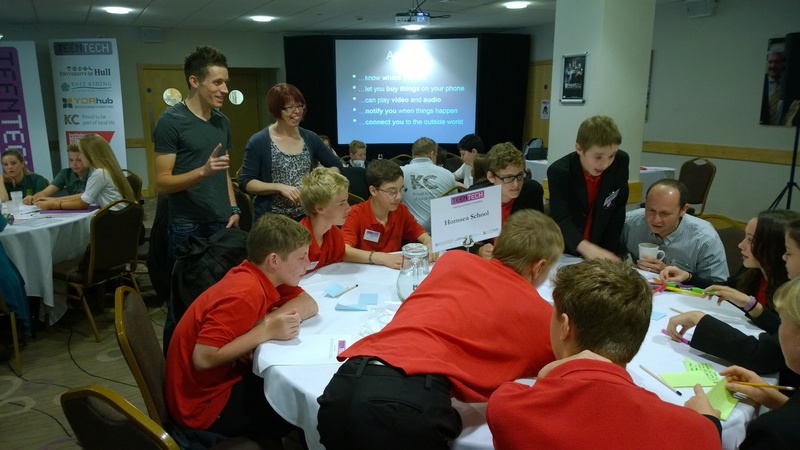 Ali Maggs from Chaos Created, alongside Liz Rice from Tank Top TV, ran an app development workshop at TeenTech in Kent, teaching teenagers all about the app development process, and then workshopping the teenagers’ own ideas in small groups. 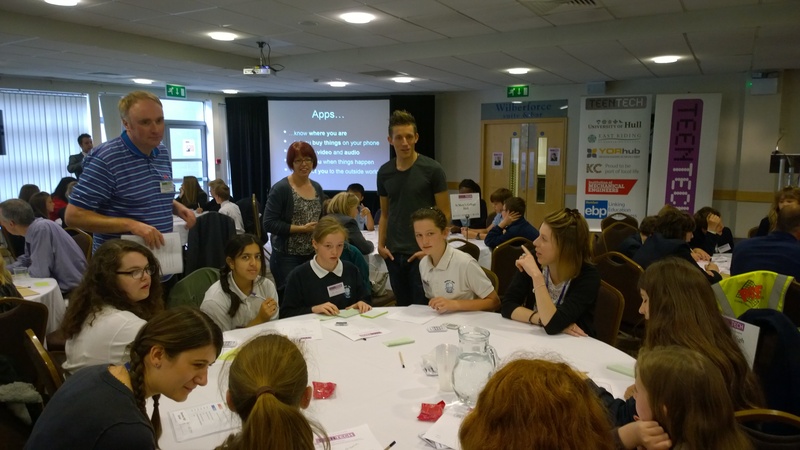 Since then, we’ve been touring the country with TeenTech, running workshops in Doncaster, Leicester, Wrexham, Swansea, Basingstoke and, most recently, Humber. It’s been such a great first year, culminating in the TeenTech Awards in London. Throughout the year, we’ve had the opportunity to work with over 2,000 teenagers right across the UK. One school even dreamt up an idea very similar to a project we have in development, and so we will be visiting that particular school in September to show them how we developed the app, and let them test the app (and hopefully contribute some ideas) before we launch it in November. We’ve had a fantastic first year with TeenTech, and look forward to working with them on more events later in the year. It’s been amazing working with so many talented, and creative teenagers, and hopefully we’ve been able to inspire them to take their amazing ideas forward. In the meantime, we’ve been working on some more technical-led workshops for UK primary schools. Last month, we were invited to teach at the Woodside Primary Academy in London, teaching a year five class (who had never coded before) about app development, and we even coded up a simple game in an afternoon. You can read about our Chaos Created Code Workshops at http://code.chaoscreated.com.